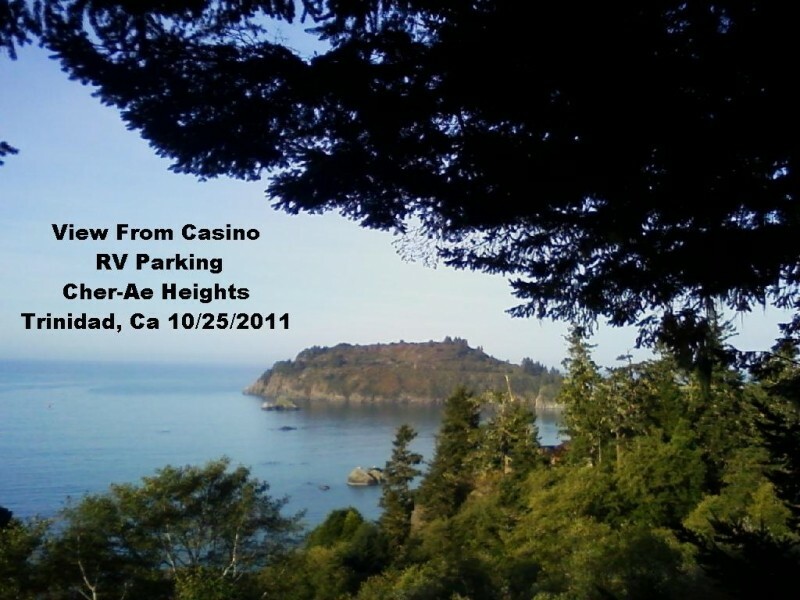 Casino Camper - Cher-Ae Heights Casino Overnight RV Parking Information. twenty bucks for lot camping. They charge $20 for 1-3 nights, pay at players club. Water is the only hookup, and only on one side of the lot. Ocean view through trees. Library wifi not quite strong enough to be usable. I did not find any reasonably priced meals either at casino or in town. Stayed 7/24/15 to 7/27/15. They offer 3 days max stay requiring you register inside. This was great for those of us who need to unhitch. Water supply available on one side of the lot. No wifi was available and the office wifi next door is secured. Needed 3 orange lego blocks per tire on one side. Players card is $10 per person and an additional $10 when you come back the next day. 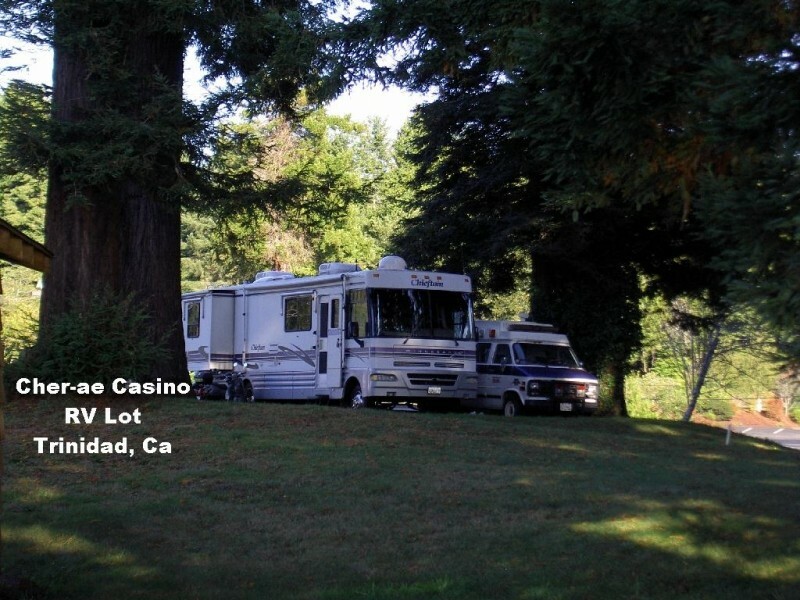 RV dump is available at the north bound rest stop off 101 between Trinidad and Patricks PT. Turn left as you enter and find an 'RV' parking lot on top of the hill. 'Tight' road coming in from highway. Needed some leveling boards but a nice little place to stay. They have Potable water available. I was also able to get WiFi from the Tribal Office. Numerous tv antenna stations. Small grocery in town and two nice wine tasting places. Fog all day the three days I was there in Sept. Casino mostly slots with a Blackjack table, Roulette wheel, Three Card Poker table and a Crap 'machine'. Keeping things current. I agree re the small lot AND the drive in , down Senic Drive, looks really tight for large RVs. I asked about security and they said the parking lot is monitored . They were a little less confident about the RV lot although there are a couple of street lights right beside the lot. They also have a number of potable water taps sticking out of the ground . The RV lot is small. Has marking for cars so each RV with slides takes up 2 spaces. Consequently there is really only room for 5-6 RV's. All spaces are back-in so have to disconnect. Might be difficult to turn around-depends on length of course. The view from the restaurant is spectacular and they have a beautiful cocktail lounge (serves food). If you tell them this is your wedding anniversary month they will add an additional $35.00 to your players card.